A London MP says he will help a grammar school develop plans to expand into a neighbouring borough. Wallington County Grammar School in Sutton, south London, has expressed an interest in opening a site in non-selective Croydon. Chris Philp, Conservative MP for Croydon South, says he plans to write to Nicky Morgan to explore the process. Croydon Council said it already had a clear strategy to meet rising demand for school places. Mr Philp confirmed that he had been talking to Wallington, a boys’ school, about setting up a satellite in Croydon for some time and they had been encouraged by last week’s go-ahead for a similar plan in Kent. The education secretary allowed Weald of Kent school in Tonbridge to open an annexe in Sevenoaks, sidestepping a ban on new grammar schools in England. Mrs Morgan said the ban would remain and her decision would not “open the floodgates” to more selective schools, describing it as a “genuine expansion” of an existing school. However, councillors in both Berkshire and Bedfordshire have, in the past week, begun exploring the possibilities of creating new grammar schools. Mr Philp said he was keen to help Wallington investigate the feasibility of a selective annexe in Croydon. Currently, Labour-controlled Croydon operates a comprehensive education system, but Bromley to the east and Sutton to the west both run selective secondary schools. Wallington’s headmaster, Jonathan Wilden, confirmed the school would be interested in opening a Croydon annexe, should the opportunity arise. 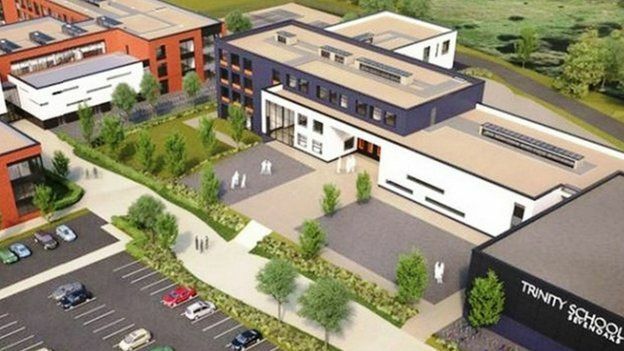 Plans for the school to open a separate, non-selective free school in the borough in 2018 have already been given the go-ahead. Croydon had already identified potential sites for new schools to meet rising pupil numbers and one of these could be earmarked for a grammar school, Mr Wilden suggested. However, he said the school currently had no plans to submit a formal application for an annexe. 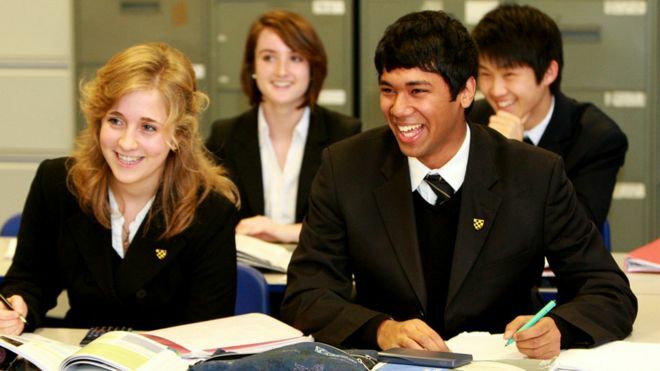 A spokesman for Croydon Council said the borough currently had no plans for grammar schools and would meet increased demand for school places by expanding existing schools and opening new comprehensives. “The Department for Education has offered Wallington County the possibility of opening a secondary-age free school in 2018 with a comprehensive intake. “The council has had no formal approach regarding a grammar school and there are no plans to develop grammar schools or grammar school extensions in Croydon,” said the spokesman. Last week, Comprehensive Future, which campaigns for equality of opportunity in education, said the group was taking advice on the feasibility of a judicial review of the Weald of Kent decision in the High Court. Shadow education secretary Lucy Powell said: “We are now seeing moves in many selective areas to open new grammar schools.